My 7 year old daughter wants to have a huge library, similar to the one in Beauty and the Beast, filled with LOTS of books. And my 2 1/2 year old son wants to have….SMARTIES! 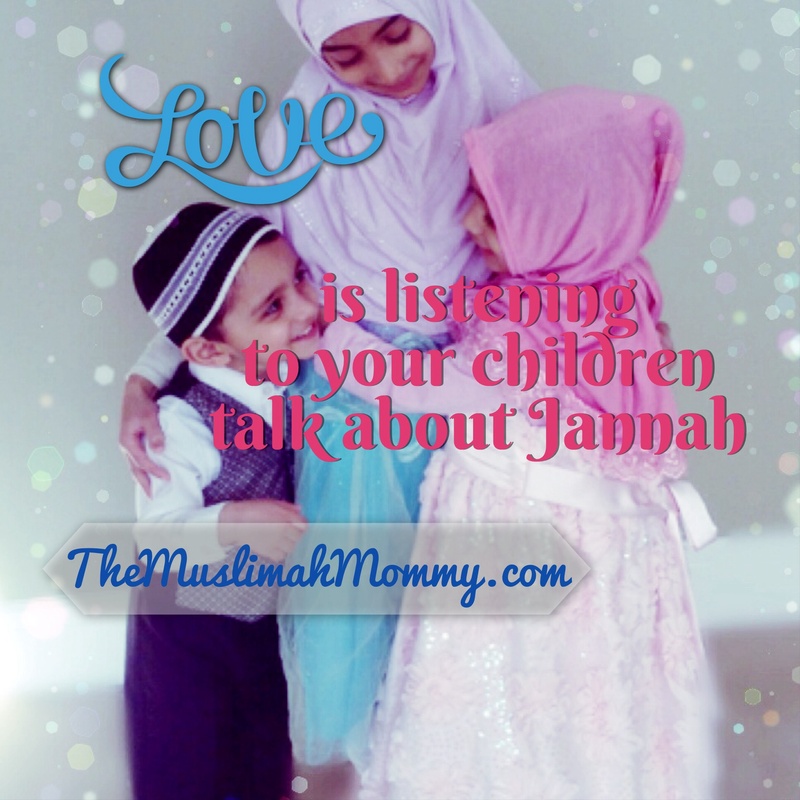 Of course, what I want is to be able to read books with my oldest daughter in Jannah, I want to push my younger daughter on her chocolate swing, and I would love to eat Smarties with my son, Insha’Allah! May we all make it to Jannah with our loved ones one day, Ameen! « Allah gives, takes, and guides. Ameen! 🙂 Lovely kids mashaAllah! Mash Allah it is tooo cute. May Allah Subhanahu wa Ta’ala grant you and your familky jannah dear sister. Perhaps, once they reach jannah its beauty will be so mesmerizing that they’ll forget about smarties and chocolate swing hehehe. I really like your blog sister, it helps me a lot a a new mother, keep writing and sharing and may Allah rewards you greatly. Ameen <3 Jazaki Allahu Khairan for oyur kind words sis. Jazakillah khoir,, Sister for loving me, and I love you more! That is very good, Sister, you have started talking about Islam well to your nice kids. A good teaching usually starts from home. A lovely post!